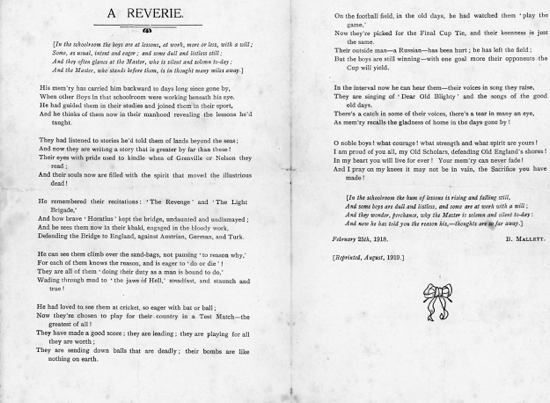 Tom Nott wrote this piece, which was originally published in the March 1975 edition of the Hertfordshire Countryside magazine, when he was 85 years old. He was born and grew up in Welham Green during Victorian times and has fond memories of his former headmaster, Ben Mallett, who he felt should have been honoured. This memory includes references to Tom's 25 years as a parish councillor in North Mymms, and of the soup kitchen that helped care for the poor of the parish. As an old parishioner, aged eighty-five, I often wonder why there is nothing in the village to commemorate the memory of Ben Mallett, my old schoolmaster at the Welham Green School. Alderman’s Close was named after Councillor H. M. Alderman, who wrote a short history of North Mymms some years ago. I knew him fairly well, and can remember when he was a carpenter at North Mymms House. On becoming a parish councillor he had one of our footpaths diverted from Hawkshead Farm to Water End after I complained about an electric wire which ran across it. 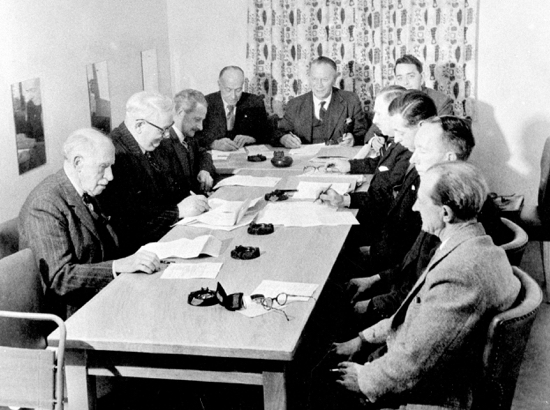 I myself was a parish councillor for twenty-five years, and during this time Mr. Tilbury suggested to Mr. Shadbolt that we should have a Ratepayers’ Association to keep the rates down; it didn’t - they rocketed sky high! Then, I suppose, Knolles Crescent was named after Sir Thomas Knolles, a Lord Mayor and citizen of London many years ago, but what did he do for the benefit of North Mymms? 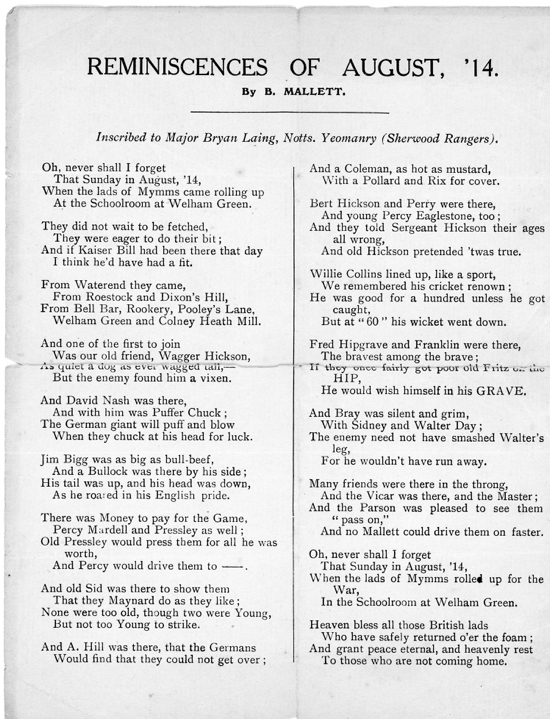 I attended several functions before building started, and am certainly no historian, but I always felt Ben Mallett’s name as a local man was more worthy to be honoured, or better still, could have had a plaque erected to his memory in the church under the Roll of Honour to our lads who were killed in world war one. Not only did he run the school, but he was choirmaster and organist at St. Mary’s Church. and attended all meetings or The Primrose League, Band of Hope, Temperance Society, and any other events taking place in the village. 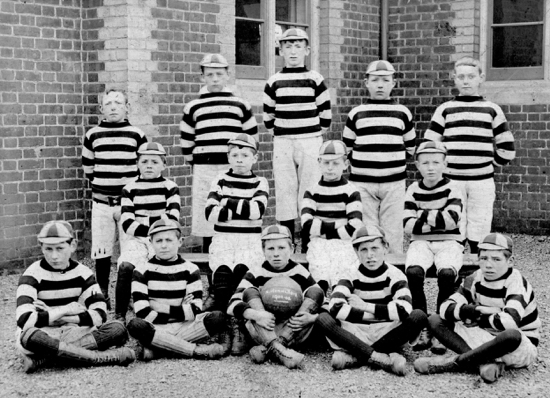 He also organised the first boys’ football team to challenge other schools (I was a member) and Lord Harcourt presented a cup to be held for one year by the winning team, the name of the school and year to be inscribed on. I often wonder where the cup is now, and never heard what happened to it after leaving school. Our instructor was Mr. T. B. Pope, who gave us our outfits and also awarded prizes for sports and other events. 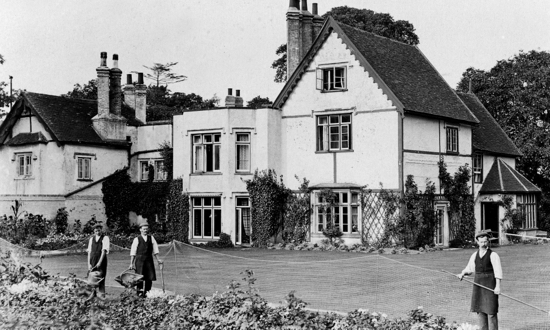 He was Mr. Burns’ agent and lived at Welham Manor before the late Major Angus Todd. where he was responsible for building a large addition, and also the men’s club which stands next to the Memorial Hall. 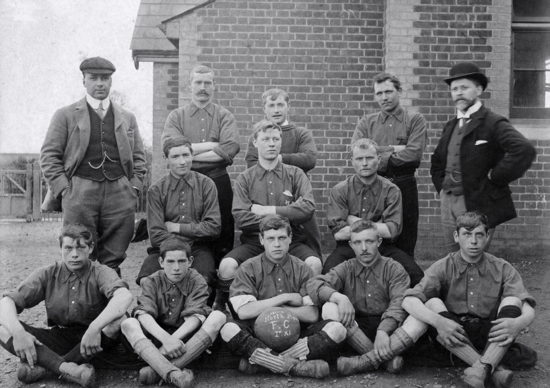 The photograph above shows our team in 1902/3, and now only two of us are left - T. Pollard (whose father was killed felling a tree in Brookmans Park) and myself. 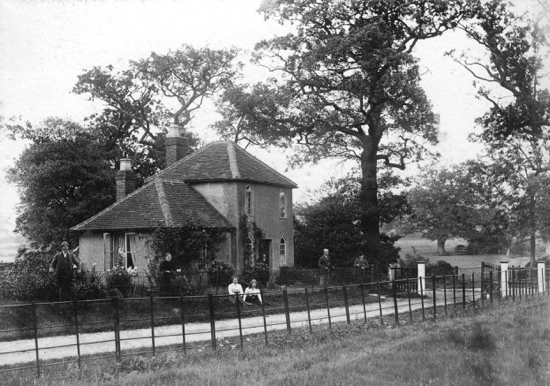 His mother was allowed to live rent-free in the old house at the top of Dixons Hill for the rest of her life. 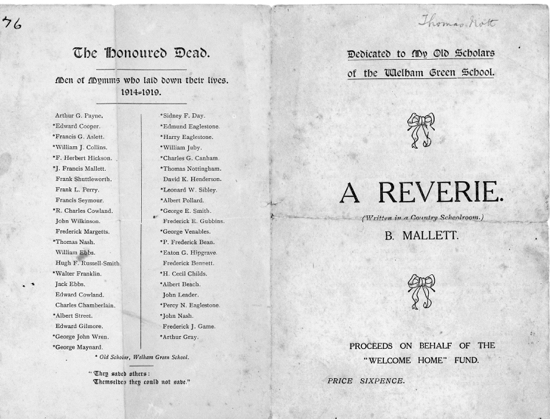 When world war one started, Ben Mallett kept a record of all Old Boys who joined up, had food parcels sent out to them, persuaded voluntary helpers to dig their gardens and allotments, and at the end arranged a ‘welcome home" celebration, giving those who returned a bound volume published at his own expense. 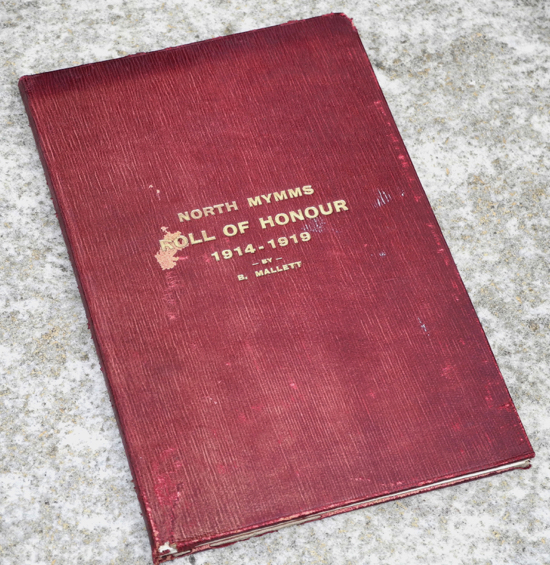 I still have my copy, which reads "The Roll of Honour 1914 - 1919. North Mymms," giving descriptions of the survivors and all those killed in action, also honours gained, regiment, date, etc. "The Zepplin Catches Fire, September 3. 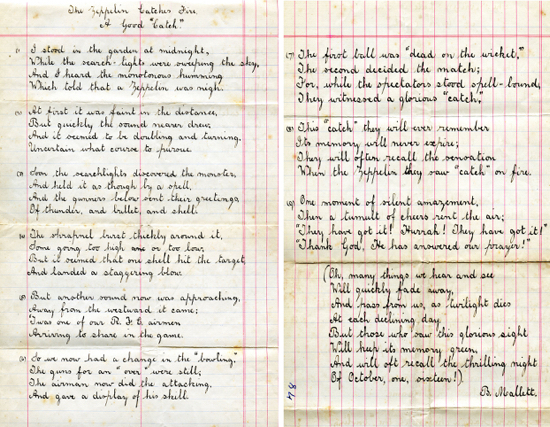 1916,"
With the Zeppelin poem I have six photographs showing in very clear detail each stage of its destruction: 1. In flight. 2. Caught in searchlight beam, 3. Direct hit, 4. Start of spiral descent. 5 Flames spreading, and 6. Complete conflagration. These were given me by the ship’s corporal aboard HMS Repulse where I served during the war, as he felt they ought to be owned by a man from Hertfordshire. Shortly after the war ended, Mr. Mallett gave notice to all ex-servicemen that the Ministry had told him there was a canteen surplus allotted to North Mymms which was not sufficient to share out - what should he do with it? They decided it should be given to Hertford Hospital for a bed for an ex-servicemen. 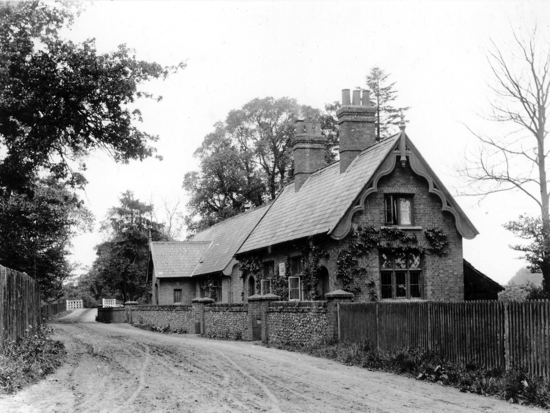 My grandfather told me that when he was married, he was gamekeeper at High Cannons, Shenley, next door to the Old Guinea pub at Ridge. He had two sons and three daughters. and in due course heard Mr. Cotton Curtis at Potterells. North Mymms. needed a gamekeeper. He applied, was accepted. and came to live at Sheepsheadhall. Bradmore Lane. 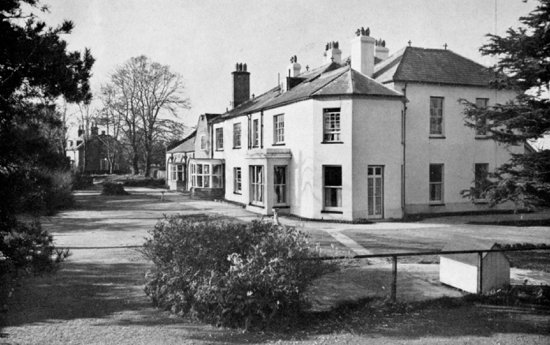 His sons were educated in an old workhouse which stood on the same site as the present boy’s’ school; then the older one worked in the gardens for Mr. Cotton Curtis under the head gardener, Mr. Farren, while the younger George J Knott started as a waiter, later becoming the first photographer in North Mymms. When the older son was twenty. he met the cook at Moffats House, Moffats Lane, and they were to become my parents. 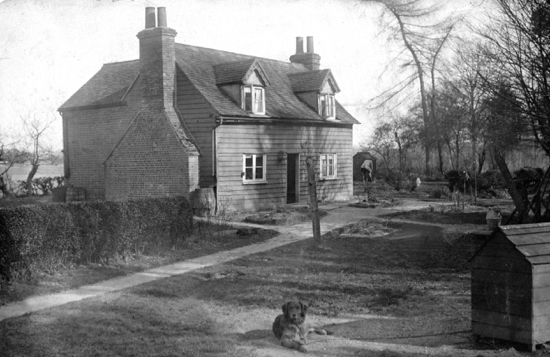 My father naturally wanted to better himself before marriage, and so answered an advertisement for a head gardener in Caterham Valley Surrey, was accepted, and they were married at Croydon Parish Church. A house went with the job, but with certain conditions: Not too many children, and no washing to be hung out in view of the carriage drive. First a son was born, followed by a daughter, then another son, so my parents, to keep the job, brought the baby to his grandparents to be brought up at Sheepshead Hall. But two more daughters came along, so they got notice to quit. 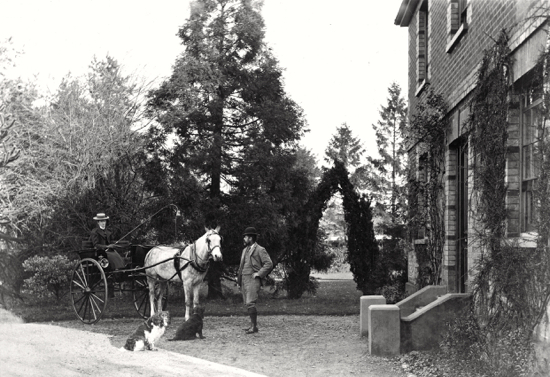 My grandfather then heard a head gardener was wanted at Abdale House, Water End, and my father came after the job, was accepted. and grandfather paid for the removal. 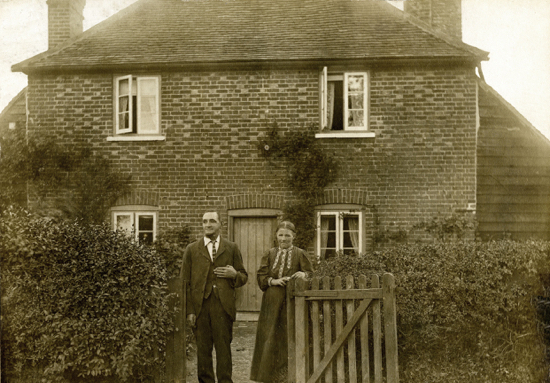 My parents being well-known in North Mymms, my mother was soon asked to run the soup kitchen for the poor of the parish which she did until I was born in 1890 when someone else had to take over. Then my father heard that a head gardener was wanted by Mr Brittain Forward at Hawkshead House, and we moved into bigger accommodation at Hawkshead Lodge. Mrs. Brittain Forward became my godmother, and Mr. Brittain Forward instructed my father to decorate four windows at St Mary’s Church every harvest festival, which he did for the next twenty-five years. During that time, he played the cornet in the North Mymms town band under Bandmaster Crow, while my uncle played the trombone. 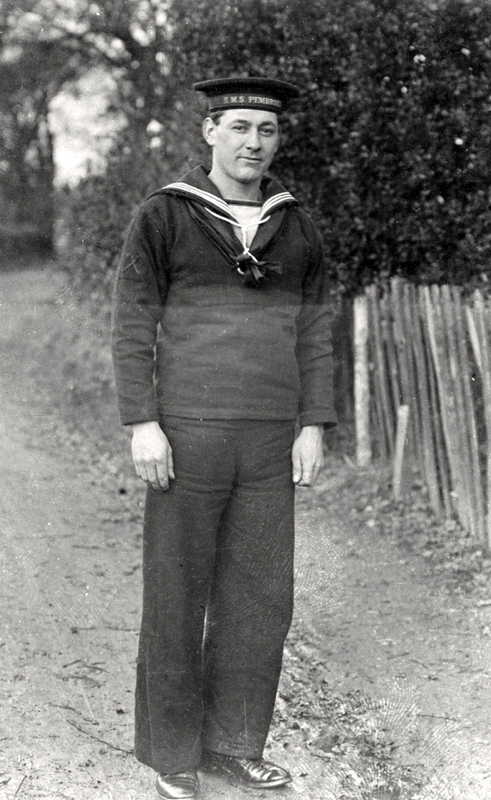 It was when I was about three years old that I have my first recollections of crying bitterly when left with an old schoolmate of my father’s, Tom Nash; he was father of Bessie, who sang in the church choir for forty years. I wanted to go home and clearly remember being left with this strange man sitting in front of a big crackling fire. Over land from sea to sea. I also had to go with my sisters to their day school, the girIs’ and infants’ at Water End, under headmistress Miss Haines. This school provided a charity for each child who was never late or absent, and on two occasions I was lucky enough to win some yards of blue serge! We only went to school in the mornings, and I remember one afternoon, going to the vicarage to collect our Queen Victoria diamond jubilee mug, which I still have. When seven years of age, I left the girls’ school and went to Mr. Mallett’s. Our names were put on a sheet of paper in an envelope, and given to Fred Fouldes, Mr. Burns’ head gamekeeper’s son, at North Mymms Park, and he took us along and handed over the envelope. I was about ten when the Boer War started, and I remember that in the papers there was talk of bringing in the old press gang. Eventually they did get enough volunteers but had to call up the Barnet Militia. About this time, a celebration was given for the marriage of Miss Burns and Lord Harcourt I have reasons for remembering this, as the lay reader at church. Mr. Cheeseman from Bell Bar, always had a boy with him on special occasions, when we scrambled for nuts and sweets. This boy came up to me and asked if I had any. I said "Yes" and he said. "Let me feel in your pocket." which he did, and more than half my nuts disappeared! 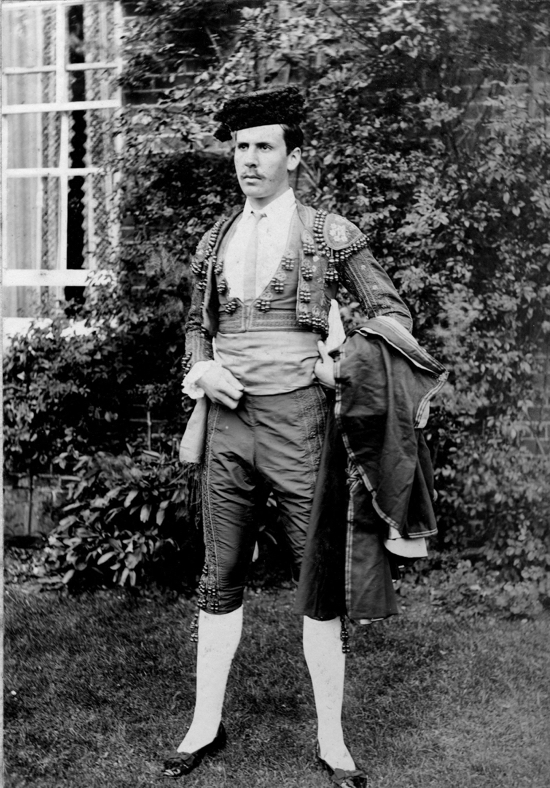 Mv older brother, who was brought up by grandfather, belonged to the Church Lads’ Brigade, and played the fife, which I also have. Bert Shadbolt, who was the same age as my brother and remembers seeing the big fire which destroyed " Brookmans" on July 11, 1891, told me he was the drummer in the band. Grandfather used to send my brother all round Bradmore Fields to drive the pheasants back and report if any poachers were about. Then he would meet up with him at the top of Bradmore Lane. One morning, my brother told him. "Grandad, there’s a man in the pond down there". "You get off to school lad - you don’t want to know anything about that," said my grandfather, and continued down the field. Before reaching the pond he met Mr. Crawford’s shepherd and said, "Bill, there’s a man in the pond, what are you going to do about it?" He replied, "You found him, so you’d better tell the police." The dead man was thought to be a jeweller from London, wearing a gold watch and chain, but it was not proved and the watch never found, although the pond was drained, so he was buried in the churchyard as "an unidentified person." My brother used to call for his old schoolmate from Potterells Lodge to go to school together, and he had a hand-reared jackdaw which sat on his shoulder and would fly up into a tree, come back, and then follow him to school. When lessons started it perched on the ventilator, much to the annoyance of the master, who told him to shut the bird up before coming to school in the future. 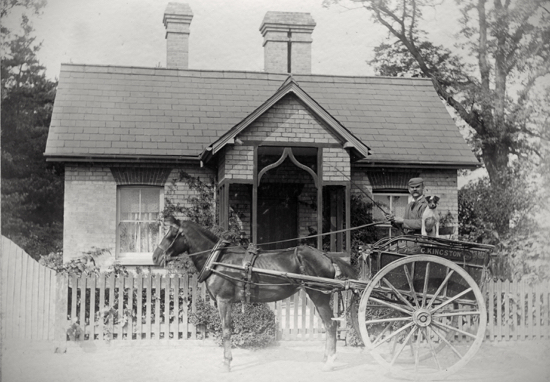 I lent some photos for an article which appeared in Hertfordshire Countryside some time ago. It was called "Gleanings of North Mymms" and two people traced me after seventy-seven years! I have also lent photographs to Mrs. D. Colville from time to time, for articles, and an exhibition which was held at the boys’ school.